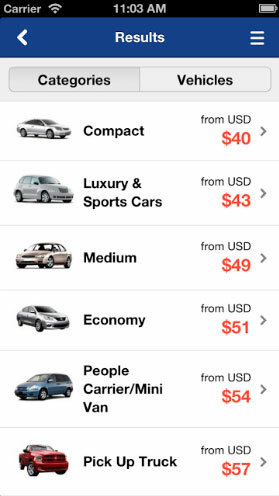 Car Rental App brought to you by AirportRentals.com; Car Rental is wherever you want to be. Encuentre rápido su siguiente reservación de alquiler de auto. Just landed in town? Need a rental car? 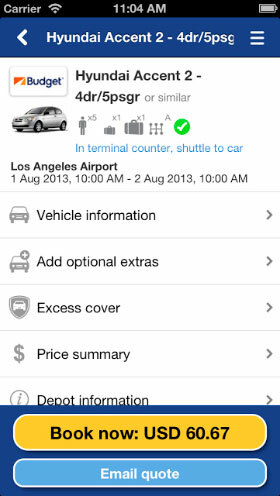 Download the Airport Car Rental app and get hundreds of car rental options right at your fingertips. With location worldwide, including all major airports. Airport Car Rental is wherever you want to be. And now we can get you off the plane and into car even faster and cheaper than before. If you have an Android, iPhone or iPod Touch then our fantastic rates and vehicle options are just a touch away: Simply enter your reservation requirements into our easy-to-use search engine and then select from a huge range of quality vehicles. This Airport Car Rental app creates your reservation in real time so your booking is instantly confirmed, and a record of the details are sent straight to your email address. We value your privacy and our secure booking system ensures that your personal details remain safe. 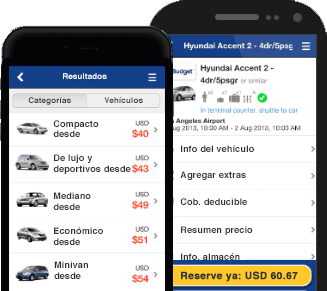 The Airport App de alquiler de autos is a product of Coches de alquiler en aeropuertos, a global rental car distributor that arranges reservations for hundreds of thousands of travelers each year. 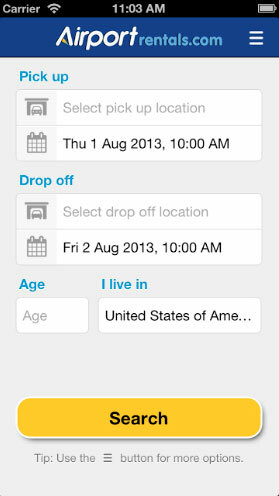 The app is free, so download now and make your next vehicle rental as streamlined and stress-free as possible.